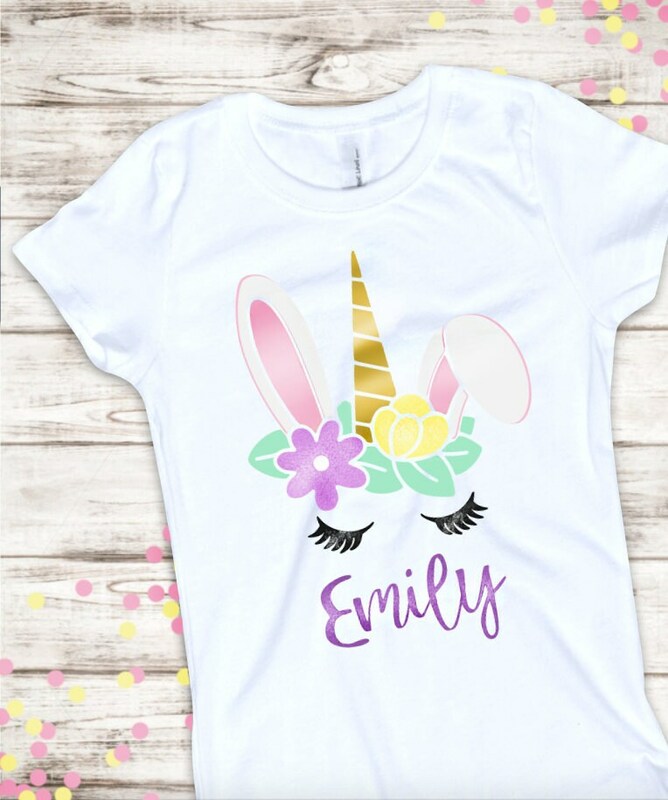 This sparkly unicorn shirt is perfect for Easter and comes personalized with a name! White short sleeve shirts are finished with metallic, glitter, and matte personalization. Choose girls' cut in child/youth or toddler sizing, or women's dolman cut in adult sizing. Colors are as shown, unless requested otherwise.